To truly finish our Wonderland Week, we need a wonderland themed speciality drink! This weeks signature drink is The Queen of Hearts! Blend strawberries and strain any seeds out. When you are ready to serve put one sugar cube at bottom of champagne flute (optional). 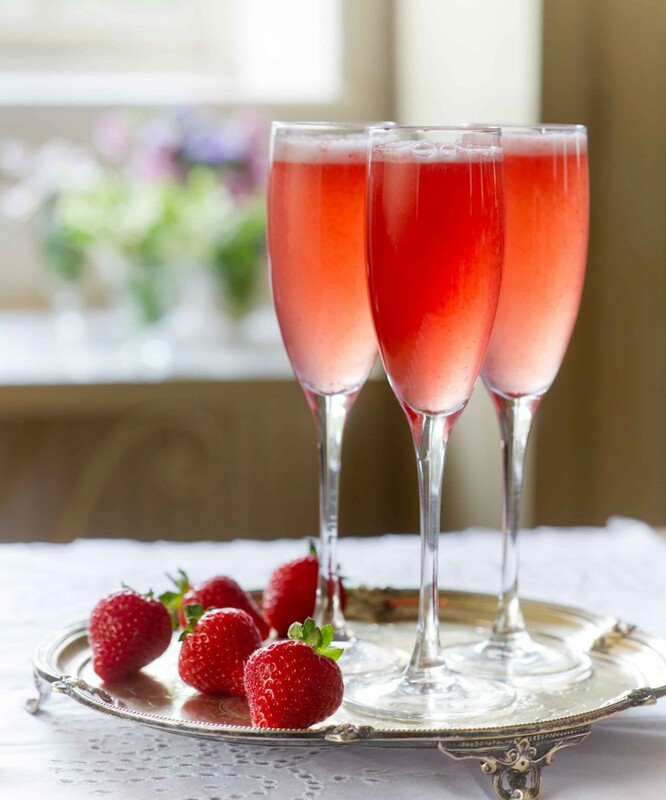 Pour half a shot of elderflower, Campari and strawberry blend into glass. Top each with prosecco or champagne. Enjoy. This entry was posted in Speciality Drink Saturday and tagged bride to be, Detroit Brides, detroit weddings, engagement, event planning, michigan brides, michigan weddings, queen of hearts, serendipity weddings and events, signature drinks, speciality drink, wedding drinks, wedding ideas, wedding planning, wedding speciality drinks. Bookmark the permalink.